Being afraid of falling is very common – and not something you should have to live with, says NeuRA researcher Joanne Lo. Last week I went to visit an eighty-year-old woman who was terrified of having a fall and ending up in a nursing home. ‘Florence’ loves her sunny unit and enjoys the independence of living in her own place and, until recently, was a very active and confident woman. Earlier this year, however, she had a particularly bad fall on the stairs to her apartment block. She now lives with a fear that weighs on her every day. Her fear of falling is so overpowering that she avoids any activity that might be the least bit risky, such as walking the short distance to her local shops. Meeting people like Florence reminds me how far we’ve come in the last decade in terms of what we can offer to older people at risk of falling. Not so long ago, if you were elderly and fearful like Florence, you might not have dared to venture outside and possibly become more frail, depressed and socially isolated. 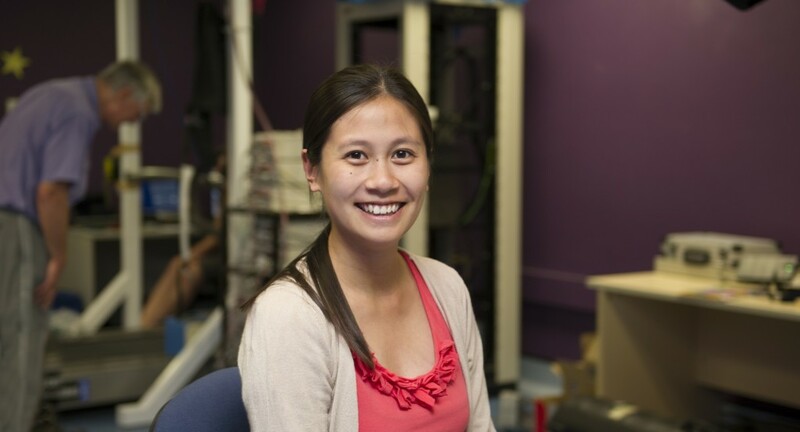 NeuRA researcher Joanne Lo is part of the falls and balance research group. But as a result of research from around the world – in which NeuRA’s Prof Stephen Lord and his team have played an important and active role – we have gotten better at helping people fall less. At the heart of these improvements is a simple battery of tests developed at NeuRA, known as FallScreen. We use FallScreen to test a person’s physical function; for example, we measure how much a person’s body sways while they attempt to stand still on a foam mat. We use the results to predict a person’s risk of having a fall in the next year. 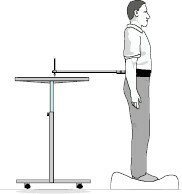 In the postural sway test, the patient attempts to stand as still as possible while we measure how much their body sways. We know what to test for because, early in his research career here at NeuRA, Prof Lord assessed hundreds of older adult volunteers to see what was different about those who fell during the subsequent year. He identified five primary areas of physical function that contributed to an individual’s risk of falling: their vision, the speed of their reactions, leg sensation, muscle strength and balance. He then devised simple methods of assessing these different areas and the assessment tool known as FallScreen was born. Studies have found that FallScreen allows us to predict future fallers with an accuracy of 75%. Why is this important? Because if you know you’re at risk, then you can do something about it. In Florence’s case, I assessed her as being at moderate risk of falling in the next year. She was surprised; in her fearful state, she had felt she was at very high risk. I was able to show her specific exercises to strengthen her leg muscles and talked about ways of addressing her fear so that she could continue to exercise confidently. The FallScreen assessment tool is now being used in hospitals and clinics around the world. This means that health practitioners have a scientifically-validated way of testing where the potential deficits are in their patient’s physical function and are better able to target these areas in their treatment. This is good news for maintaining the patient’s independence and helping them to prevent a fall in the future. If you think you are at risk of falling, or have a fear of falling, I can’t urge you strongly enough ask your GP for a referral to a falls clinic for an assessment. There are many things you can do to reduce your risk; being assessed is just the beginning. For example, at NeuRA we are currently looking into ways of improving exercise programs, such as using an iPad app as a digital personal trainer. This is just one of many ways we are trying to reduce falls in older people. If you’d like to find out more, please visit our website.